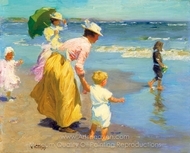 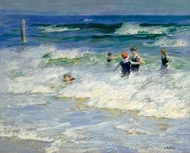 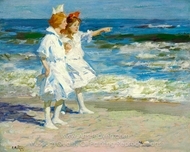 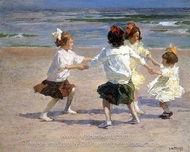 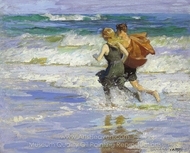 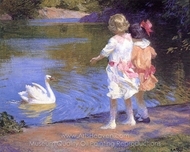 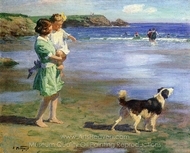 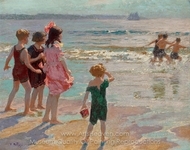 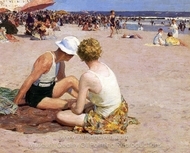 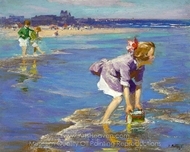 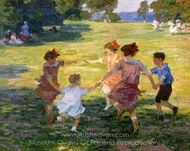 Edward Potthast was a painter remembered most for his beach scenes of carefree atmosphere, Edward Potthast was one of the significant 19th-century American artists from Cincinnati, which at the time of his birth was a burgeoning art center. 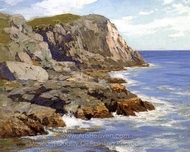 It was also a place of refuge for German immigrants including the Potthast family. 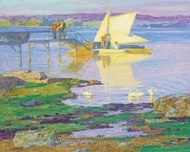 He first studied at the McMicken School of Design and at the Cincinnati Academy, and then went to Europe briefly before becoming established in his native city as a lithographer and illustrator. 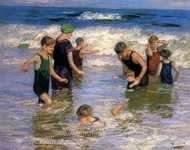 In 1892, he moved to New York City where he won the Clarke Prize at the National Academy and many other honors. 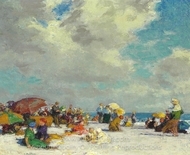 In 1910, he was part of a Santa Fe Railroad sponsored trip to the Grand Canyon that included Thomas Moran. 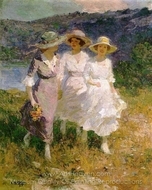 The group spent ten days painting on the South Rim of the Canyon, and this experience was so stimulating to him that he returned to the West several times, developing a tonalist style of painting night scenes.